Day 1 Auckland: On arrival in Auckland you will be met and transferred to your hotel with the remainder of the day at leisure for you to explore. 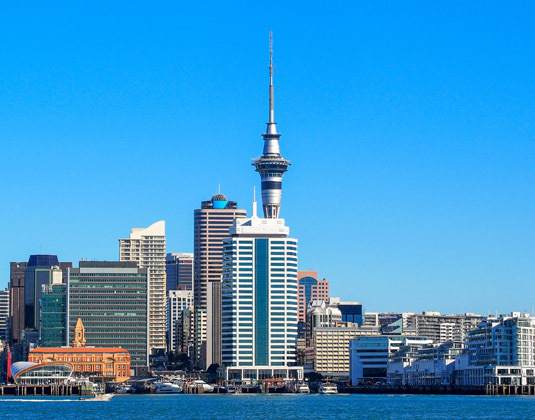 You may wish to visit the Sky Tower for extensive views or the Viaduct Harbour waterfront region where you'll discover a variety of bars and restaurants with stunning views out over Waitemata Harbour. 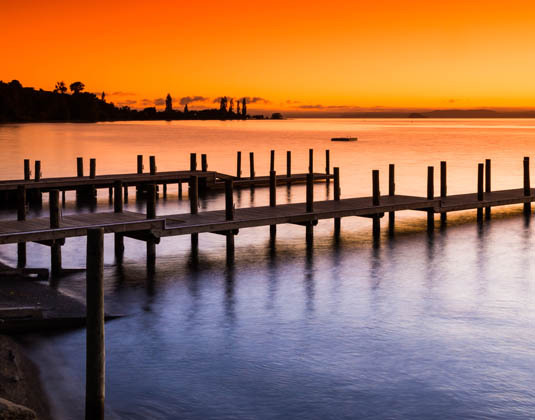 Day 2 Auckland/Bay of Islands: Depart Auckland and travel through Orewa and along the scenic Hibiscus Coast. Take a walk among the Kauri trees at Parry Kauri Park and explore Whangarei, the northern-most city in New Zealand. 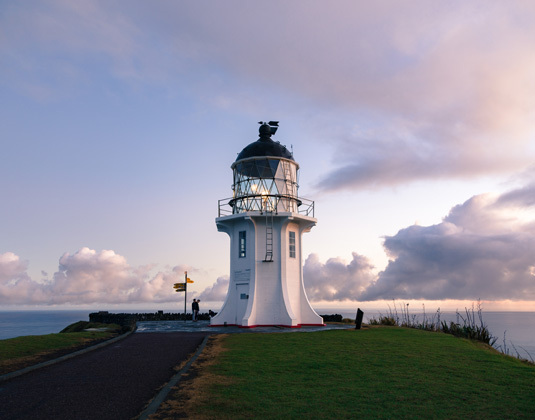 Continue to the beautiful Bay of Islands where you'll take a scenic cruise through game fishing waters to Cape Brett and, weather permitting, through the famous Hole in the Rock formation. The return cruise to Paihia meanders through picturesque islands with deserted sandy beaches and secluded bays. Day 3 Bay of Islands: A full day at leisure to experience the splendour of the Bay of Islands. 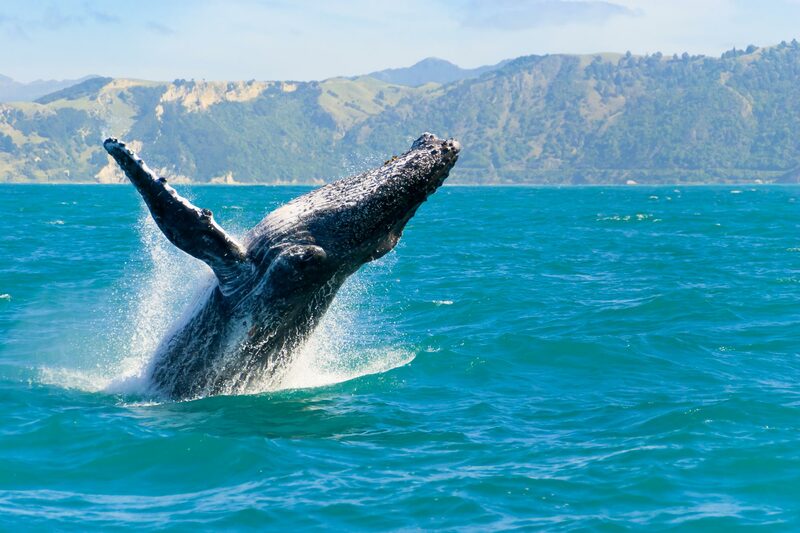 Perhaps go dolphin watching or take a coach trip to Cape Reinga via idyllic 90 Mile Beach. You could enjoy a day of sailing on a tall ship or discover the historic township of Russell, New Zealand's first capital. Or you may want to sample local wine and chocolate on a tour around Kerikeri. All options are available at additional expense. Day 4 Bay of Islands/Auckland: This morning there is time for an optional visit to the Waitangi Treaty Reserve (additional expense) which is of great historical importance. This is where New Zealand's founding document, the Treaty of Waitangi, was signed. 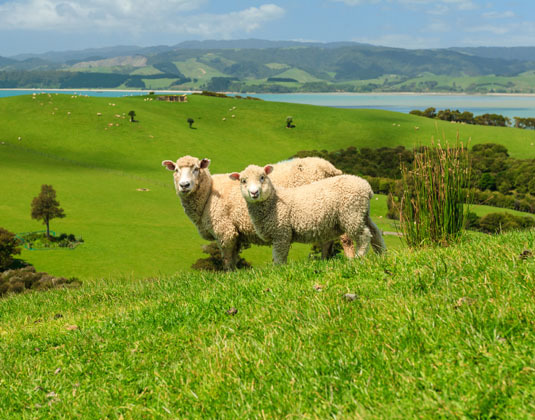 This afternoon, enjoy the lush farmland scenery as you return to Auckland. 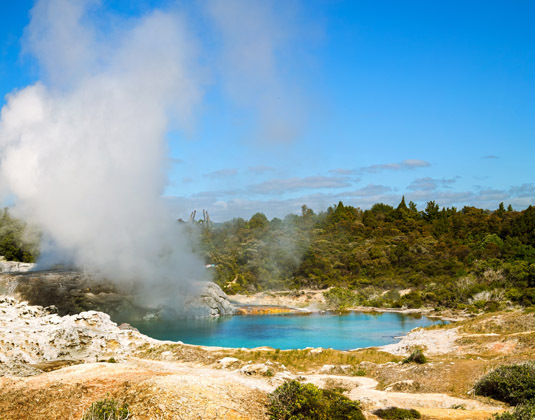 Day 5 Auckland/Rotorua: Enjoy a sightseeing tour of Auckland then journey south through the Waikato district. Experience a guided tour of the famous Waitomo Caves and discover the incredible Glowworm Grotto on an underground boat trip. This afternoon, travel to Rotorua and this evening enjoy an evening of fun and laughter as you gain an insight into Maori culture. Day 6 Rotorua: Visit the Agrodome Sheep Show for a sample of Kiwi farm life. See the art of sheep shearing, sheepdog demonstrations, cow milking, bottle feeding lambs and an exciting sheep auction. 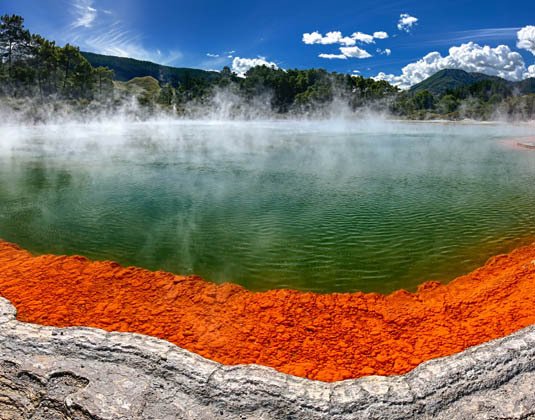 Then there is the opportunity to visit Rainbow Springs, where, with a local guide, you will discover native bush, ferns and trees, all growing around crystal-clear mineral water springs filled with trout. 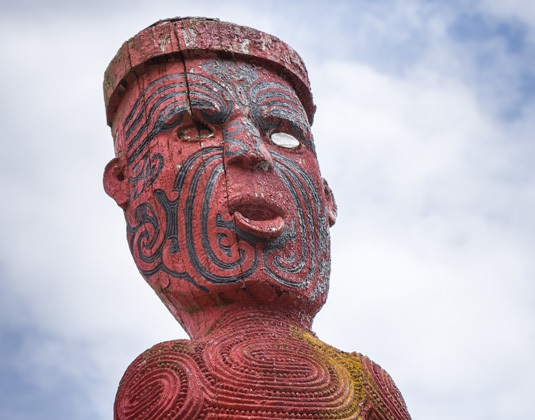 Or head out to Te Puia for a guided tour through the Whakarewarewa Geothermal Valley, home to Rotorua's famous Pohutu Geyser, mud pools and then watch carver at work in the New Zealand Maori Arts and Crafts Institute. Day 7 Rotorua/Wellington: Depart Rotorua this morning, travelling south to Wairakei and on to Taupo in the very heart of North Island. Stop to view mighty Huka Falls before following the eastern shoreline of Lake Taupo. 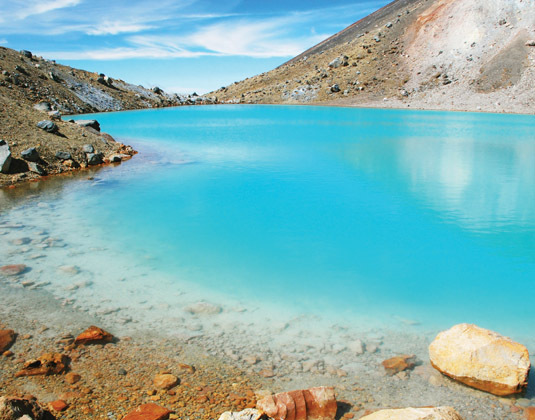 Discover the alpine scenery of Mt Ruapehu, Tongariro National Park and then continue through the rich farming lands of the Manuwatu, into the capital city, Wellington. 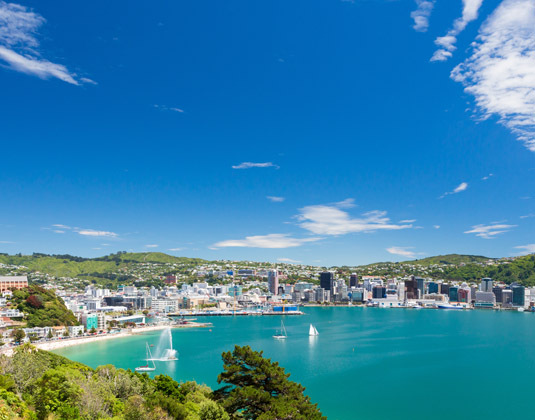 Day 8 Wellington: This morning you'll enjoy a sightseeing tour of Wellington during which you can take in the panoramic views from the top of Mt Victoria. There will be time to explore the Parliament buildings and the Beehive, home to New Zealand's politicians. Visit Te Papa, the Museum of New Zealand and explore the fascinating exhibits at your leisure, including the unique Marae or Maori Meeting House. Later, you will be transferred to Wellington airport for your onward journey. Meals: Breakfast. Dinner is also included on days 2-4, 6 & 7. Tour price: The price shown for this AAT Kings tour is based on the best value travel dates in low season and includes accommodation, sightseeing as outlined and services of a tour director. International flights are not included.